This is a letter from Martha Berry to a Mrs. Adelaide McAlpin Pyle. Miss Berry is sending her regards and reasoning for not being able to visit Mrs. Pyle. 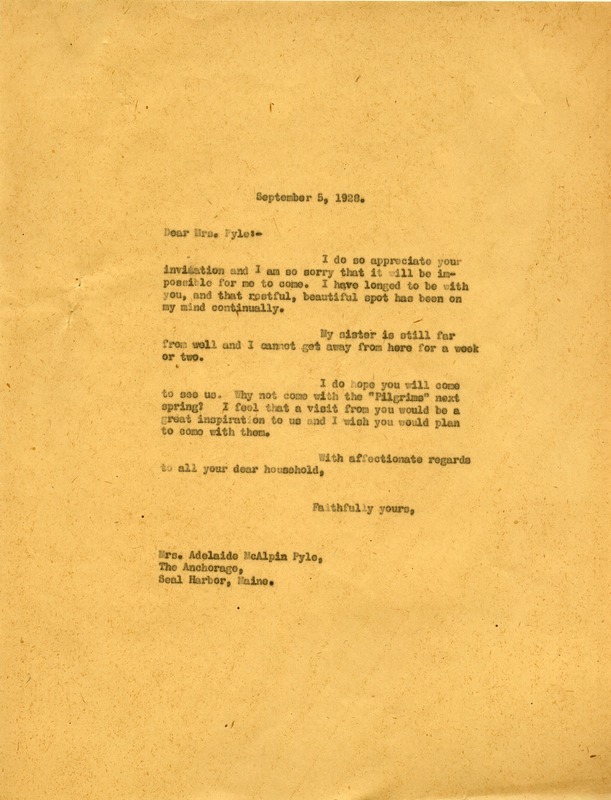 Miss Martha Berry, “Letter from Martha Berry to Mrs. Adelaide McAlpin Pyle.” Martha Berry Digital Archive. Eds. Schlitz, Stephanie A., Jordan Brannen, Meredith Coleman, et al. Mount Berry: Berry College, 2012. accessed April 25, 2019, https://mbda.berry.edu/items/show/8762.